Great for heavy duty cleaning, the MAXBLAST range keeps hard floors and carpets clean. When it comes to professional cleaning, you want a vacuum cleaner that can take on dirt, dust, hair and liquids with no problem! Choose the right sized hoover for your home or business, from our selection of 30, 50, 60 and 80 litre vacuum cleaners - and you'll have the perfect cleaning companion. With the included attachments you can tackle wet and dry debris all day long, whilst the HEPA filter (not included with 80L) will make your floors, carpets and upholstery, a vision of hygiene and cleanliness. 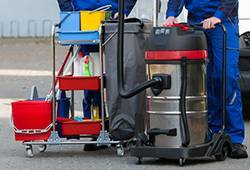 All our industrial vacuums come with free mainland UK delivery and have no fear the 12 month electrical warranty covers your commercial vacuum cleaner from the get go.